Does your teenager fly into rages, slam doors, or punch walls? Plus three tools for parents and teenagers that will never fail. Yes, teenagers are moody. 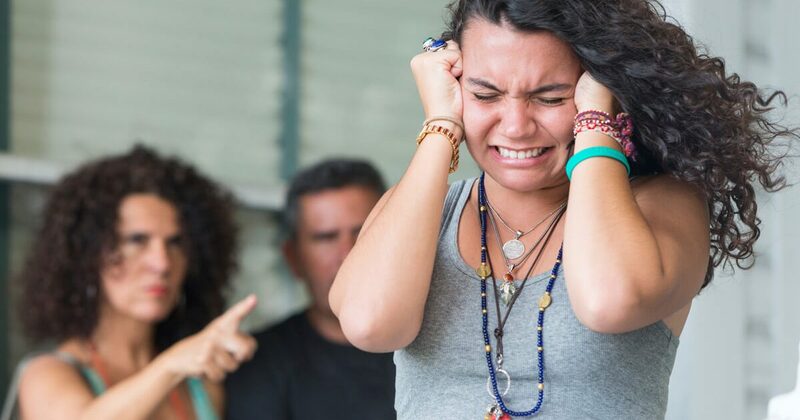 (See The Negative Voices Inside Your Teenager’s Head) But before you label your kid with anger issues, ask yourself this question: Could I be the cause of my kid’s angry outbursts? So often in my psychotherapy office, I witness well-intentioned, loving parents make spirit-crushing comments to their teenagers. I sit in shock while parents shame, criticize, or blame their kids, dumping frustrations on them and saying things they would never say to another adult. No one thrives in a critical environment. Constantly criticizing your kids makes them feel like failures. Parents’ words are powerful and impact a teenager’s evolving identity. Teenagers may act tough, but underneath they have a very fragile sense of self. Golden rule: Never say anything to your kid that you wouldn’t want someone to say to you. Unsolicited advice nearly always backfires with teenagers. 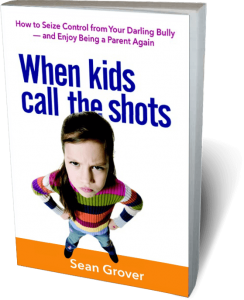 Especially when advice is given with a built-in directive, such as “You need to do this…” Teenagers spend most of their lives being ordered around by adults. Unsolicited advice is likely increases defiance and undermines trust. Does anyone actually enjoy being negatively compared to others? If you start a sentence with, “Why can’t you be like…” trust me, you’ve just hurt your kid. Such hurt is frequently at the root of teenagers’ anger at their parents. Many teenagers feel they are under attack when their parents compare them to peers or siblings. It also undermines their peer/sibling relationships and increases emotional tension. No one said parenting would be easy. Yet many parents make a hobby of complaining about their kids. They whine, lament, martyr themselves to friends or relatives—at home and in public. Such negativity weakens a parent’s leadership and breeds a toxic environment. It’s also terrible role modeling. If you complain about your kid, your kid will complain about you—and that’s a dead end for everyone. Does this sound familiar: “When I was your age,..blah, blah, blah.” Boasting about yourself to your kid sends the vexing message: “You should be like me.” Remember, teenagers are working on separation and individuation, they don’t want to be like you; they want their own unique identity. What’s more, self-aggrandizing transmits arrogance and insecurity—making you a bore to any teenager. Listening is healing; it’s the basis of all talk therapies. Teenagers that feel their parents listen and value their opinions are more cooperative and less defiant. Try this simple suggestion, listen to your kid without judgment, without self-references, without advice and keep a close eye on your kid’s responses. Chances are that he or she will share more and feel more comfortable turning to you for support. Kids crave attention. No matter how aloof they appear, they desperately want their parent’s approval. Find a way to highlight your kid’s strengths. And if they fail, don’t engage in “I told you so.” Teens feel bad enough when they fail, they don’t need the parents’ disapproval to add to their burdens. Do your best to praise your kid’s efforts regardless of the outcome. It will lower their stress levels and increase their self-esteem. Lead by example. Kids internalize their parents way of communicating and their habits. I’ve witnessed parents blame their kids for behaviors they themselves model. In other words, if you’re impatient, your kid is more likely to be impulsive. If you bully your kid, your kid will eventually become a bully. Don’t blame the mirror for your reflection. Clean up your act, and your kid will too. In the end, mindful parents raise mindful kids.